The book Brothers in Arms: The Great War Letters of Captain Nigel Boulton R.A.M.C. & Lieut Stephen Boulton, A.I.F. 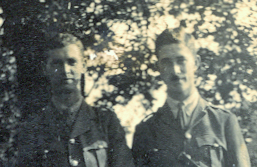 is a remarkably moving story of the lives of two brothers during the First World War. Nigel was an Australian doctor serving with the British Army and his brother Stephen served in the Australian artillery. During that war, on 21 November 1916, Nigel and his Australian wife Mona’s first child, Philip Hugh Boulton a.k.a. Pip, was born in England. The adorable Pip features strongly in the book. The family returned to Sydney in 1919 and a second son, Peter, was born in 1920. 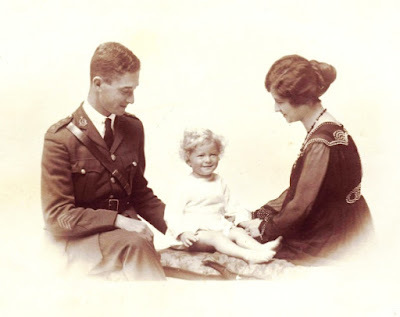 The marriage was already in trouble when Peter arrived and in 1923 Pip’s mother ran off with Jimmy Dee, who’d stayed at home in Australia during the First World War and had not endured its agonies. 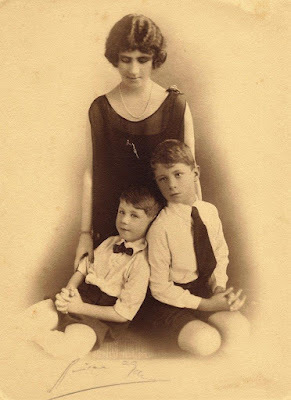 Pip’s parents divorced in 1924 and both remarried in 1927. Nigel and Mona were not on good terms. Pip’s father had custody of the boys but family stories relate how their stepmother did not want them around and Pip suffered the consequences. For a time he boarded at The King’s School at Parramatta, his father’s old school, and spent much of his free time staying with his Dennis cousins, the children of his father’s sister. Pip eventually removed himself from both sets of parents and travelled to England aboard SS Ormonde in May 1939, which meant he was in England when the Second World War commenced. His Australian father likewise had happened to be in England 25 years beforehand, when the First World War broke out. After Germany’s invasion of Poland on 1 September 1939, England and France declared war on Germany on 3 September. 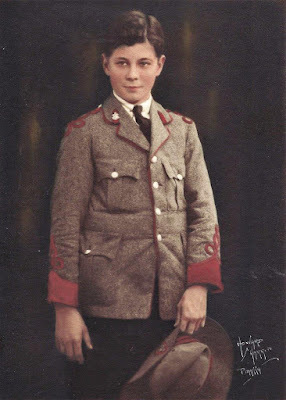 Pip knew that his doctor father obtained a private pilot’s licence in Australia during the 1920s and, having heard his father’s stories of the horrors of life in the trenches, it’s not surprising that both Pip and his younger brother opted to become pilots. By the end of October 1939, Pip had joined the Royal Air Force Volunteer Reserve as Australian Pilot No 907098 (Note 1). Pip was quickly assessed by the No 1 RAF Selection Board at Uxbridge, on 15 November. He gave his date of birth as 21 November 1914 at Parkstone, Poole in Dorset, advancing his age by two years, and his civil occupation was recorded as Consulting Engineer. That workforce experience must have been obtained through his stepfather, who was Municipal Engineer of Mosman Council in Sydney. Pip was described as 5’9” tall, with dark brown hair, hazel eyes and a fresh complexion, with several small marks and scars noted. The Board recommended him as suitable for pilot training and recommended him for a commission. His character at each of the annual reviews which followed was classified as ‘very good’. On 1 December he moved from No 1 RC (Recruit Centre) at Uxbridge to South Gosport. His experiences there are described below in a letter to his father. Five days later he relocated to St Leonards-on-Sea for further ground-based training and specific aptitude tests in No 5 Initial Training Wing (I.T.W. ), a group of hundreds of men divided into numbered squadrons and lettered flights. I’m afraid that this will reach you too late for Christmas, but nevertheless it brings my best wishes for a Merry Xmas and Happy New Year, etc. Please excuse me not writing to you before, but things have been moving so swiftly that I never seemed to be able to get time etc, nor the money for that matter. As you have no doubt guessed by now, I am a member of the Royal Air Force. My rank is Aircraftsman 2nd Class and my trade is Pilot under training. This I think should please you. Actually my rank should be Acting Sergeant with pay at 9/6 per day, however there are some hundreds of us in the same boat all AC2s with 2/- per day. However our Commanding Officer told us the other day that he had got into touch with Air Ministry about our case and that we would receive our rightful rank and all our back pay, very shortly, this should be good as I will then be able to pay off a few debts that I contracted when I left Australia, on 2/- per day I just about manage to get cigarettes. I have been in the service for two months now and thoroughly enjoy everything. I was first of all at No 1 R.A.F. Depot, Uxbridge, Middlesex, there I was fitted out and attested etc. 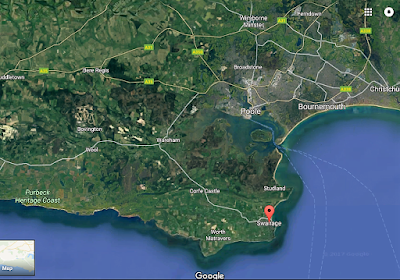 From there I went to Gosport, Hampshire, here I did a little passenger flying and machine gun practice. My stay at Gosport was most interesting as among other things it was an Experimental Aerodrome and many experimental types of planes and apparatus etc was tested out there. I would like to tell you lots about what I heard and saw there, but of course that is impossible. I am now stationed at St Leonards-on-Sea at No 5 Initial Training Wing. I will be here for eight weeks, till approx. Feb 6th, so you will be able to reply here up to that time. We do mathematics, navigation, map-reading etc here, in fact all ground work. After leaving here we go to a Flying Training School, either somewhere-in-England, or Canada. In about four months now, if all goes well, I will have my wings, and after that my commission, I have already been recommended for the latter. There are 250 of us in this building, which is very posh, being a commandeered hotel. There are 2 Australians and dozens of Canadians, Rhodesians, South Africans. So we ‘Colonials’ have a fine time. The weather here is quite cold, we had a few flakes of snow yesterday, so expect that we will get plenty at Christmas. Actually this hotel is situated about 150 yds from the sea which is bounded by a long promenade, and the usual piers, St Leonards [must?] be a popular pleasure resort in summer. It took quite a bit of wangling to get into the R.A.F. but I made it finally. Will close now, please write soon. The building in the background of Pip's picture appears to be the Adelphi Hotel at St Leonards, one of the seaside hotels empty in winter and requisitioned by the RAF in WW2 for accommodating large numbers of aircrew in training. 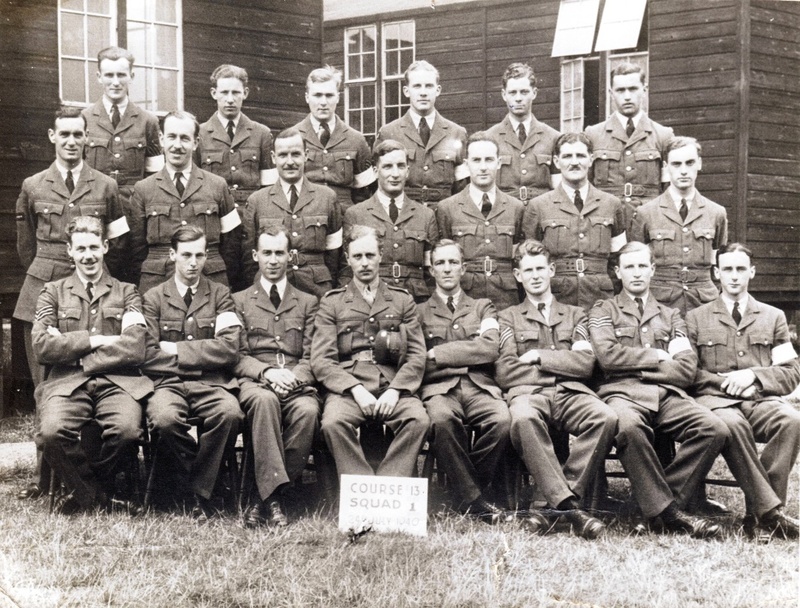 Pip mentions that he and his fellow trainees all held the RAF’s lowest rank, Aircraftman Second Class or AC2, but he was soon upgraded, to Leading Aircraftman (LAC) on 24 January 1940, as his second letter indicates. Dated 5 February 1940, it gives his address as No 907098, LAC Boulton, P H, ‘C Flight’, 4 Squadron, No 5 I.T.W., RAF Hastings, Sussex. I was wondering whether you received my last letter OK, as I have not heard from you for quite a while. Life in the R.A.F. is just about the same, getting slightly boring now as we are still held up at our Initial Training Wing and likely to be for quite some time yet. We are only supposed to be here for two months but so far have been for three and the prospect of another 4 or so to follow, Needless to say we are hard put by to fill in the time. By the way I have been promoted since I last wrote, I am now Leading Aircraftsman or L.A.C. for short, with pay at 5/- per day, a little better than 2/- per day which is what I got before. I have also changed quite considerably which I suppose is only natural, seeing that we have lectures on how to best kill and all the rest of the ugly paranefalia (paraphenalia) of war etc. Here’s a little surprise for you, and I hope not too much of a shock. I was married on 30 January 1940. Her name was Eileen Sellars, and her father is an Electrical Engineer. I have known her for about six months, so it is not quite one of these wild fancies. I know that you will love her, she is very like me in character and outlook, the only snag is that her religion is R.C. but I married in the Presbyterian Church of England and if there are any kiddies they will be brought up Church of England and then allowed to choose any other religion they may fancy when they are old enough. Perhaps that you think I should have waited, but with conditions over here as they are, I maintain that I am entitled to a little happiness while I can get it. Anyway old boy, I shall expect your blessing. Well as you now have your first daughter I expect that you would like to know a little more about her. She is 19 years old, 5’2” tall, brown hair, blue eyes, an attractive face and excellent figure. She is very athletic being a swimming and ice-skating fiend, and what is most important in this mad fast world, she is a good girl. She is well educated and spoken and really quite intelligent, although you think perhaps not because she consented to become my wife, however your son does have some good attributes. The main point is I think that we love each other very much and when such happens according to the laws of nature such parties naturally mate. This brings me to another point, we have decided that we will not attempt to have any children until this war is over, this I think you will agree is very sound policy. I rather missed you not being here at this rather momentous happening in my life, as I would rather have liked to ask you many questions about all sorts of things which only a father can answer. However I am so far negotiating the many marital difficulties. Eileen is also in the service of King and country. She is in the Auxiliary Territorial Service or ATS for short and of course wears uniform.so we were both in uniform when married. Our financial side is practical, with our joint salaries we have just over £7 per week, so we should be able to manage OK. I will be living out as from Friday next, we have found a small flat [his service record lists his home address as 14 Wellington Square, Hastings] so I should be able to derive some home comforts for a little while anyway. After I am posted, well it will be a matter of seeing each other when on leave etc, however I expect you know as you went through the same thing during the last war. So far I am still in good health although there is an epidemic of measles, flu and diphtheria here at the moment. I have of course the usual cold which I am afraid is only natural owing to the excessive damp prevalent here during winter. We have had the biggest snowfall for over 100 years, so I am quite used to snow by now. I do not mind the cold so much, but the horrible damp and complete lack of sunshine rather gets me down. People very rarely laugh too, but that can be chalked down to lack of sunshine. The perpetual blackout is most depressing too. How are things with you, I do hope they are OK, I would rather like to hear from you now and then, I do not think I have had a letter from you since joining the RAF. Needless to say I am longing to start my flying training, as I hope to make a very good pilot, at any rate I hope to possess your air sense. You may be interested to know that I passed the medical board with flying colours, so you father healthy sons old boy. Hope that you will be able to understand this awful scrawl, but temperature is about 30 degrees below freezing point at the moment and I am trying to finish this letter before my fingers get too stiff to move. By the way any small advice on certain subjects would be welcome, especially from you, so there’s a hint. My room mate, George Geering, a Canadian, is getting married too, on Saturday, so it must be catching. He was best man at my effort. The minister who performed the ceremony was a New Zealander, so that was rather a coincidence. In September 1939 trained pilots were urgently needed if the Royal Air Force (RAF) was to meet its operational commitments. The struggle and success in achieving the required number of pilots is one of the overlooked 'battles' of the war. Time was of the essence. Initial revisions to the training programme focused on shortening courses and increasing the capacity for pupils at the flying training schools. This did not work, however, and difficulties arose with the limited amount of equipment available and a shortage of flying instructors (Note 2). 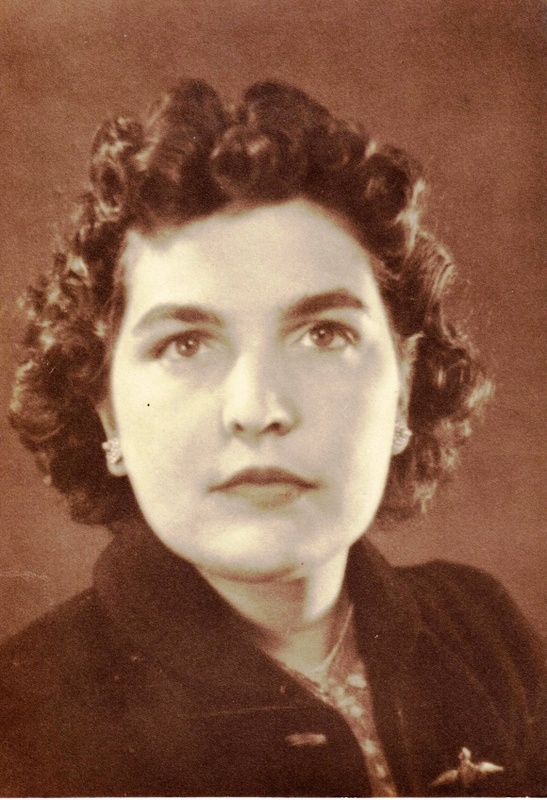 UK records indicate that George Geering married a Winifred M Harvey. This second letter of Pip’s mentions Eileen’s involvement with the ATS. This was the women’s branch of the British Army during World War Two, employing women in support roles such as cooks, clerks, storekeepers, telephonists, orderlies, drivers, postal workers and ammunition inspectors. The family on his father’s side believes that Philip's wife Eileen drove an ambulance during the London Blitz, which began in September 1940. On 10 June 1940 Pip was transferred to 50 GP (Group) Pool, part of Flying Training Command which appeared to be based at Shinfield Park, Reading in Berkshire at this time. From July for a short period this Group conducted flying operations on DH 82 Tiger Moths lent to them by the RAF’s No. 10 Elementary Flying Training School at Yatesbury in Wiltshire (Note 3). Pip was now training for his longed-for ‘wings’, and not before time. Conditions in England were becoming desperate, after the Dunkirk evacuation in late May and early June, 1940. The photo of Pip in Course 13, Squad 1, is dated 24 July 1940, the day he was transferred to College Cranwell in Lincolnshire, and marks the official start of his flying course. It’s confusing that the stamp on the back of the photo says Wembley Portraits of 29 Central Parade, Wembley, about 40 miles from Reading and many miles from Cranwell. How could Pip be in two places at once? The ways of the RAF are sometimes difficult to fathom. Perhaps the photographers had a branch office in Cranwell. The Battle of Britain was beginning. England needed help from other countries to train its RAF pilots during the Second World War, and by 1945 110,600 pilots had been trained under a number of agreements made with nine different countries (Note 4). However Pip was one of those who learned to fly in England, more than likely on a Hawker Hart Trainer according to the few clues located online. His file records his promotion to Flight Sergeant on 11 October 1940, the day he graduated as a pilot from his course with a score of 74.3%. Two weeks later, on 23 October, he began his training as a fighter pilot, with No 5 Operational Training Unit (OTU). This was part of No 12 Group Fighter Command at RAF Aston Down, near Minchinhampton in Gloucestershire (Note 5). The unit trained Hawker Hurricane and Bristol Blenheim pilots (Note 6). 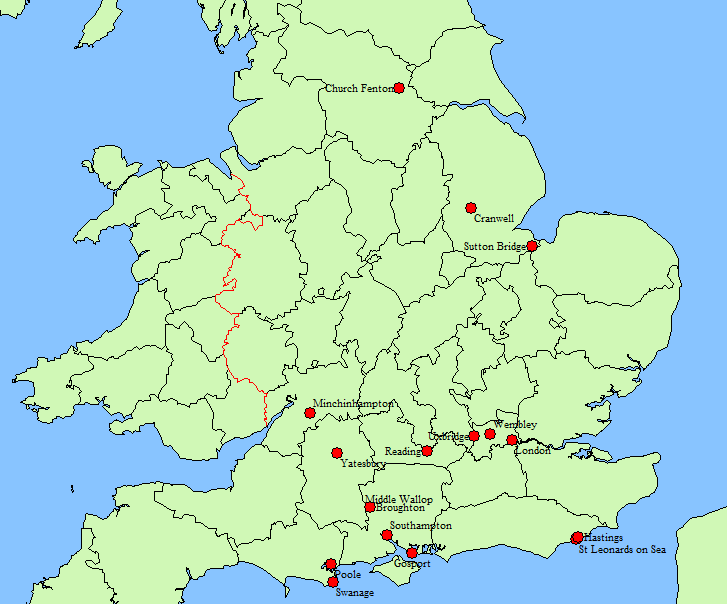 His fighter pilot training took Pip to many parts of England. After only a month at Aston Down he moved on 26 November to another training unit, No 56 OTU at RAF Sutton Bridge, but only for a few days while much-needed strategic reorganisation was underway in the RAF. first reached Fighter Command in September 1940 (29 and 604 Squadrons), being fitted two months later with A.I. (Airborne Interception) radar for night fighting. With its high speed, 2816 km range and a firepower from its four 20 mm cannons and six 0.303 in machine guns, the Beaufighter was a most welcome arrival (Note 7). The aircraft carried a two-man crew, the pilot in a cockpit and the navigator-radar operator in the rear, sitting under a small Perspex bubble. Both crew-members had their own hatch in the floor of the aircraft. The front hatch was behind the pilot's seat. As there was no room to climb around the seat-back, the back collapsed to allow the pilot to climb over and into the seat. In an emergency, the pilot could operate a lever that remotely released the hatch, grasp two steel overhead tubes and lift himself out of his seat, swing his legs over the open hatchway, then let go to drop through. Evacuating the aircraft was easier for the navigator, as the rear hatch was in front of him and without obstruction. The Beaufighter's armaments were located in various positions on the lower fuselage and wings … a small bomb load could be carried externally. … This was one of the heavier, if not the heaviest, fighter armament of its time. … The recoil of the cannons and machine guns could reduce the speed of the aircraft by around 25 knots when they fired (Note 8). 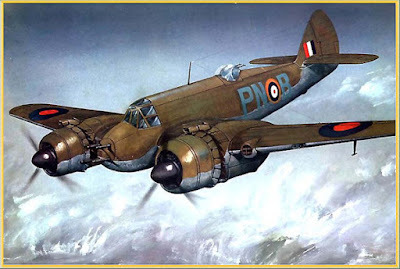 The Beaufighter had sufficient room in its fuselage to carry a secret weapon, early radar. The British tried to hide its existence from the Germans by spreading the word that RAF pilots could see exceptionally well at night because they ate so many carrots. Although it was in its infancy as a technology, A.I. radar helped the navigator issue adequate-enough instructions so that the pilot could get close enough to an enemy bomber to visually locate it and shoot it down. Even loaded with a 20,000 lb (9,100 kg) payload, it remained fast enough to catch up to German bombers and, with its heavy armament, deal out considerable damage to them. While early radar sets suffered from restrictions in range and thus initially limiting the aircraft's usefulness, improved radars became available in January 1941, promptly making the Beaufighter one of the more effective night fighters of the era (Note 9). Replacement pilots were constantly required to offset the carnage in key squadrons like the night fighter squadrons, which had ‘20 aircraft and two reserves, plus 16 operational pilots, and would be expected to fly 12 aircraft, either as four flights of three or three flights of four’ (Note 10). It was quite a feather in Pip's cap when he was posted on 6 May 1941 to the key No 604 (County of Middlesex) Squadron based at Middle Wallop, inland from the Southampton docks. The crews of 604 Squadron ‘included that of John Cunningham and C.F. Rawnsley, one of the best British night fighter crews of the war. Between them they won nine British decorations, and Rawnsley went on to write an excellent book about his experiences’ (Note 11). The Squadron was very active defending London during the blitz and later defending other British cities against incoming German bombers, until around mid May 1941, ‘when most Luftwaffe bomber units departed for involvement in the invasion of Russia. By this time 50 air victories had been claimed by the squadron—fourteen by F/L John Cunningham’ (Note 12). Rawnsley’s book ‘Night Fighter’ makes for fascinating background reading on the day-to-day life of the crews of 604 Squadron but mentions Pip only as an unnamed ‘new Australian pilot’ because no-one had time to get to know him (Note 13). That’s because Pip survived as a qualified, operational pilot for only 23 days. He was killed on active service on 29 May 1941, as an observer in another aircraft which crashed into the Purbeck Hills in Dorset. he went on an air-sea firing exercise in Beaufighter IF R2073 to Chesil Beach, with Sgt. SN Hawke and a new Australian pilot, Sgt. PH Boulton. While the exercise was in progress clouds came in from the sea and blanketed the Dorset hills. Instead of climbing above them Jackson flew through and crashed into high ground near Swanage. All three men were killed. Jackson was 22. He was cremated at Golders Green Crematorium. Hendon (Note 14). 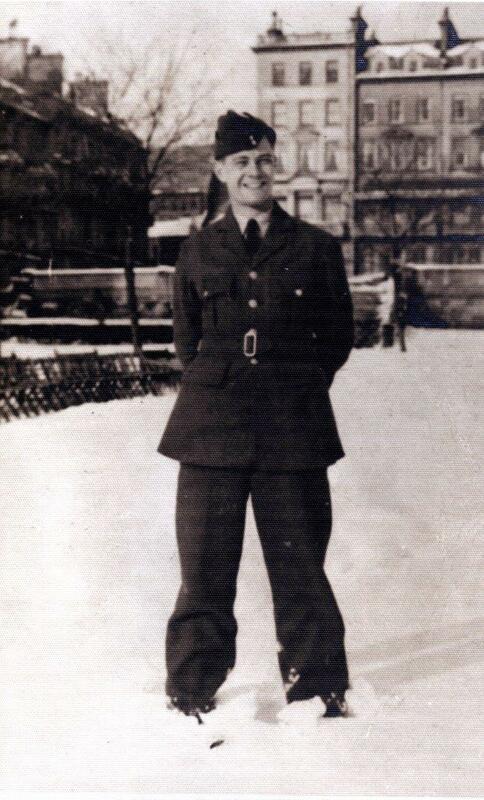 Flt Sgt Stanley Nelson Hawke, aged 25, is buried at Streatham Park Cemetery. Pip’s next of kin was his wife, at the time living very close to Middle Wallop at Bridge House, Broughton, Hants, her name incorrectly recorded on RAF files as Mrs C W Boulton. She must have been the one to decide where he would be buried, and she chose Alperton Cemetery in Greater London. The Dorset hills form part of the Purbeck Ridge of the extensive chalk downs in southern England. 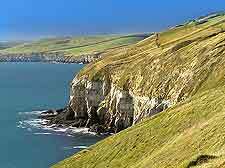 Chesil Beach, on Dorset’s famous Jurassic Coast and UNESCO World Heritage site, is a little further to the west of Swanage and the Purbeck Heritage Coast. 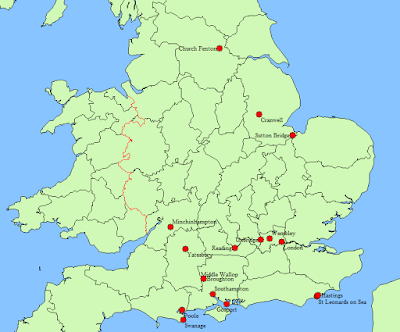 The map shows the nature of the terrain where the plane crashed, in hills so high that they provided a perfect vantage position for William the Conqueror's men to build a defensive castle, Corfe Castle, almost one thousand years ago. It is uncanny that the site is so close to Poole, indeed is just across the harbour from the place where Pip was born in 1916. The wheel of his life cycle turned a full revolution. PILOT-OFFICER BOULTON KILLED IN ACTION. Private advice has been received by Mrs. Mona Dee, of Manly, that her son, Pilot Officer Phillip ("Pip") Hugh Boulton, of the R.A.F, was killed in action on May 22. Pilot-Officer Boulton was born in London 23 years ago and, on coming to Australia, was educated at The King's School. Parramatta. He went to London in May 1939, and joined the R.A.F shortly after the outbreak of war. He was married in January, 1940, to Miss Eileen Seller, of London, who is now engaged as a pilot, ferrying planes for the Women's Auxiliary Air Force in England. His father, Dr. Nigel Boulton, served with the British Armv Medical Corps during 1914-18 (Note 16). Pip was laid to rest in the Hero's Corner of Alperton Cemetery in London, in grave number 92 D.D. maintained by the Commonwealth War Graves Commission (Note 17). His grave inscription reads ‘To live in the hearts of those we love is not to die’. Still closer when we meet again. Three years later Pip's mate W/O George Geering was also killed when his aircraft crashed into a hill in bad weather. As part of No 59 Squadron, he and seven other crew members were returning from an antisubmarine patrol to Ballykelly Airfield in Ireland, but at 4.20am on 24 June 1944 their Liberator hit Ben Evenagh, across Loch Slough from their base, killing all on board (Note 18). Pip’s widow Eileen married again, early in 1945 to Ernest Saben, and their son Robert Daryl Saben was born in mid-1946. 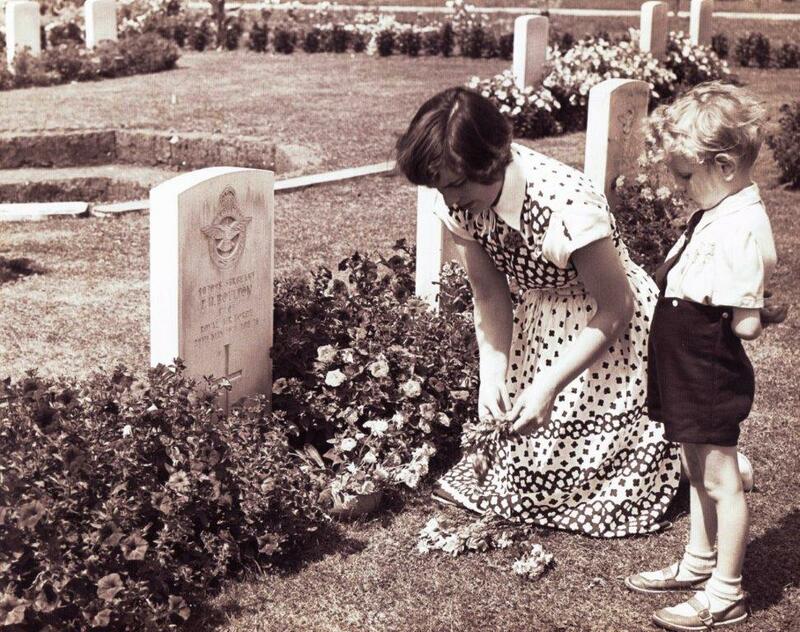 After the war ended Eileen sent the family in Australia several pictures of her tending Pip’s grave, accompanied by her son. Eileen died in England in 2007. The Boulton family is a case study in the heavy price paid by many Australian families for defending freedoms on the other side of the world. Nigel Boulton lost his only brother Steve in action in France in the First World War and his only brother-in-law Engr Lt Cleon Dennis, RAN, died in 1932 of a war-related condition. The loss of his beloved elder son Pip in England in the Second World War was a great emotional blow for Nigel. His other son Peter also paid a heavy price. Peter suffered severe wartime injuries in a truck crash in the Middle East, was repatriated home for recovery, then severely injured again in a RAAF plane crash in Australia. Nigel’s fighter pilot nephew Stephen Dennis was shot down over France and badly burned and injured, became a prisoner of war and never recovered his pre-war health. The book Brothers in Arms: The Great War Letters of Captain Nigel Boulton R.A.M.C. & Lieut Stephen Boulton, A.I.F, about Pip's father and uncle is available in Australia via BookPOD and internationally via the usual online outlets.